Join us for pool, darts, food and drink for just a fiver a head! email calumspence@hotmail.co.uk to say you’re coming, or click “going” on the event on Facebook. Another great night with 100 in attendance comprising; members, partners and guests from fellow associations. Hosted by Dave Macdermid, with entertainment from Kenny Clark and music from Northsound’s Jeff Diack. 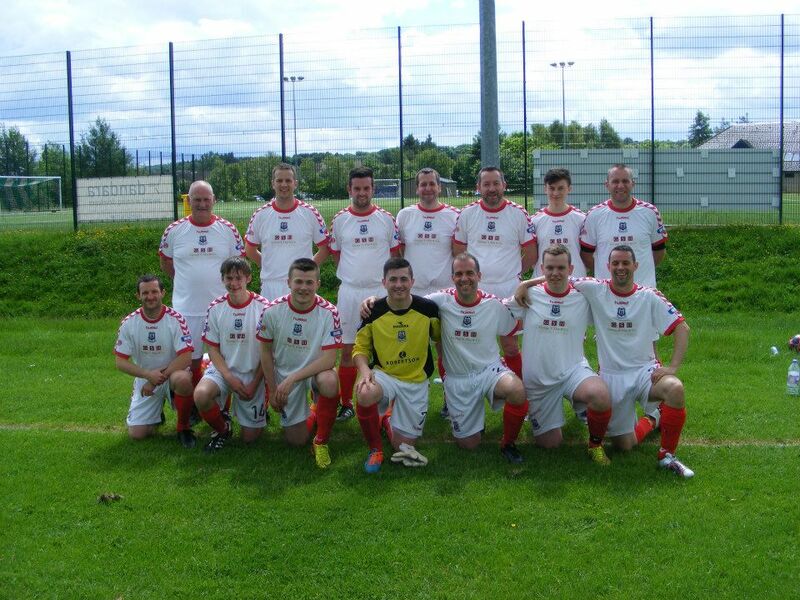 Proceeds from the event went to the Scottish Huntington’s Association, supporting the family of Alan Freeland. The bowling night was held in March and was a fantastic event that had a great attendance with 35 referees in attendance – including 5 from other associations! 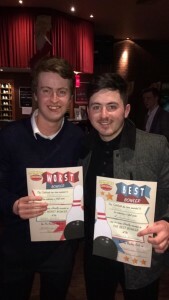 The winning bowler was Harry Bruce and Neil Matheson was the worst bowler – as per the picture below! The annual dinner was hosted at the Douglas Hotel and was a massive success. Comedian Chris Turner brought his unique blend of freestyle rap and comedy and was a huge hit with all in attendance. 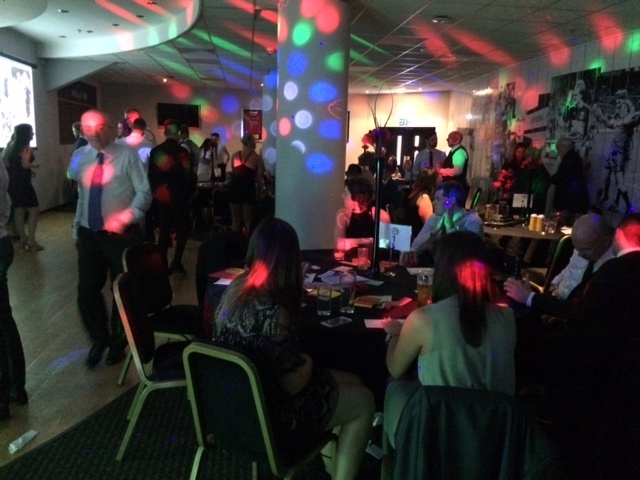 It was then onto DJ Jeff Diack to conduct our raffle and provide music for everyone to dance the night away to. Thanks to everyone who attended and enjoyed the evening and the next years dinner will be on NOVEMBER 12th 2016. The event was also sponsored by the Bridge Street Social Club who have excellent packages available for Christmas bookings and space for parties to be held. 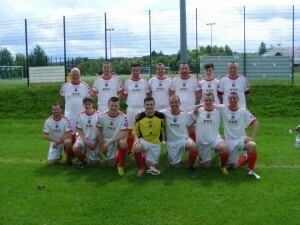 The end of season social was played at Inverurie in June this year between the Aberdeen Referees and the Referees from Moray and Banff. 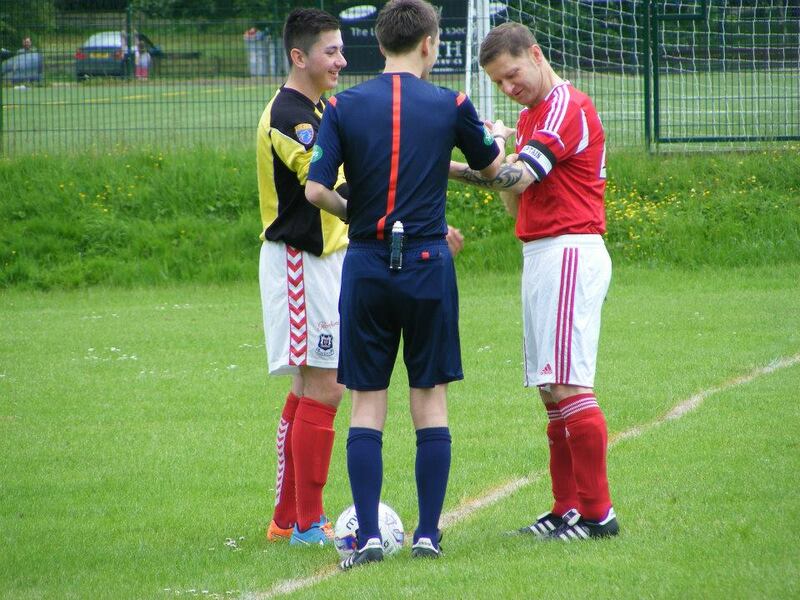 The Aberdeen side was led by Alex Shepherd and the M&B referees by Harry Bruce. Following a plea from Harry midweek M&B were ‘loaned ‘ a few players… a decision that ended up being extremely costly for Aberdeen! Aberdeen took an early lead with John Fairley Jnr having some excellent play on the right wing and setting up a goal for RAY HENDERSON to open the scoring. Unfortunately after around half an hour in Ray picked up a blow to the nose and needed replaced. Shortly after this M&B pulled into the lead! A series of tinkering substitutions by Manager Alex Shepherd led to a lack of momentum and M&B scored three goals in quick succession and went on to romp home to win 6-1!! A good day was had by all on the pitch, but hopefully next year Aberdeen can restore some pride and beat the lads ‘fae up north’ on their own turf! Following the game we went back to Inverurie Loco Works Social Club for some refreshments and a special thanks should be placed on record to the club who put on a buffet for us free of charge – this allowed us to provide some excellent hospitality after the game and enjoy the evening! A final thanks must go to the match referee Dan McFarlane and Assistants Chris Phillips and Brian Dean. 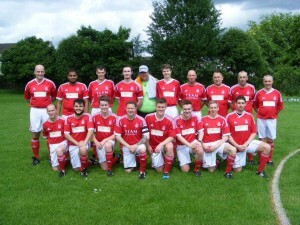 I’m not sure they will volunteer so quickly next year as I think it really is the game from hell! !